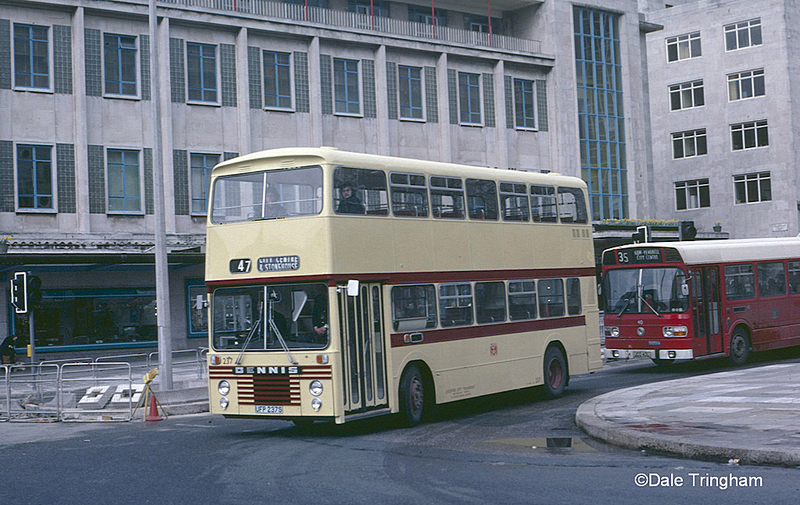 When Leicester Dennis Dominator UFP237S appeared in Plymouth for a trial, Dennis were very much a minnow in the UK bus market. I remember when this one appeared in service and I managed quite a few rides on her, and recall being very impressed and desperately hoped that Plymouth would buy some. Of course as a young bus spotter that might just have been down to the ‘anything but Atlanteans again’ school of though. Of course we all know that Citybus did indeed stick with Atlanteans. Plymouth probably tried out just about every type of bus on the market, but never actually bought anything other than Atlanteans for its double deck fleet. That did though change when they tried a few Olympians, and then bought Volvo’s - although only four of them new! One thing that this Leicester bus did demonstrate successfully was the East Lancs bodywork as it featured in Plymouths orders for the V, W and X reg batches. Back in 1978 I am sure even Dennis would not have expected to be where they are today. Everything changed when the Dart hit the market and Plymouth became a Dart city, like so many others.